About 200 items collected at Archaeological Site Q04/44 at Paraenui Bay, just north of Bay of Islands, New Zealand, are associated with apparently late pre-Contact fishing. Although the collection methodology was not systematic, the assemblage offers novel insights into fishing strategies. The significant presence of small (≤25 mm, usually one-piece) fishhooks could mean leatherjackets Meuschenia scaberwere a focus, their skin having been used as surrogate sandpaper in pre-Contact Northland. The presence of more than 30 large (almost certainly northern) spiny dogfish Squalus griffinispines point to fishing sorties into deep waters (100 m and beyond). Booth, J., Booth, C., Booth, W., Booth, R. and Rihari, H. (2018) “Fishing strategies at an open-coast fishing site in east-Northland, New Zealand”, Journal of Pacific Archaeology, 9(2), pp. 83-88. 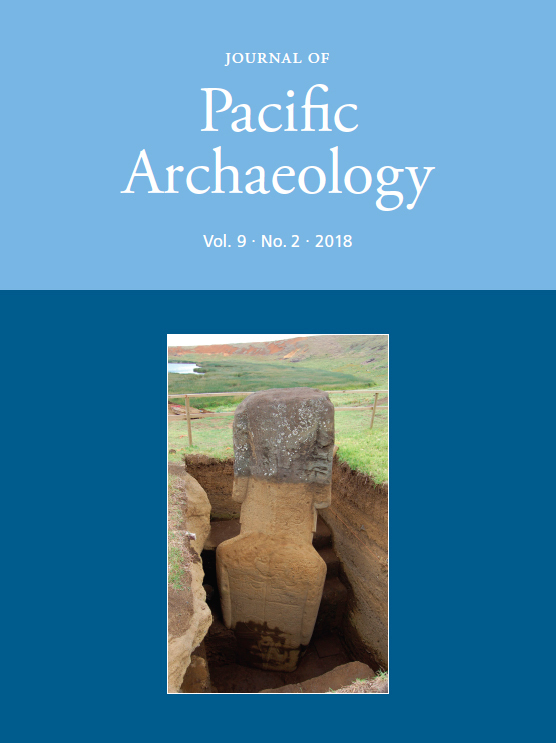 Available at: https://www.pacificarchaeology.org/index.php/journal/article/view/266 (Accessed: 22April2019).